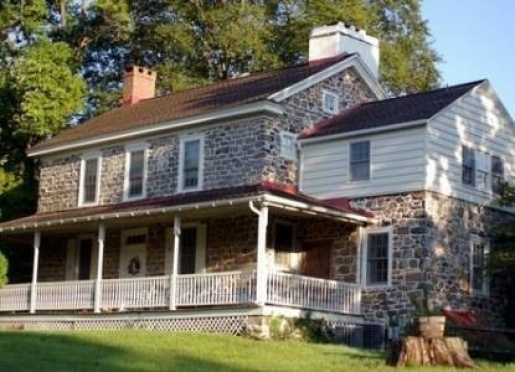 This 1732 William Penn land grant home was built by Abiah Taylor as a wedding gift for his daughter and son-in-law, Daniel Hoopes. During the 1800’s it was a safe haven for the Underground Railroad. Due to its historical significance, this home was open for the annual Chester County Day House Tour, which drew over 1500 visitors. Marcy's career evolved around the food and nutrition industry. Consequently, she has taught 'Foods for Entertaining' classes and has assisted in developing several cookbooks. Walt, a retired civil engineer, provides "tender loving care" for this 'ole' house. Come, visit our little bit of paradise. 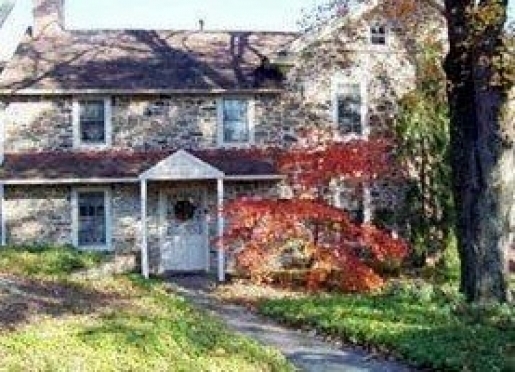 Let us share our 15 plus years of inn-keeping in the Brandywine Valley in planning a unique itinerary to fit your timely schedule and special interests. 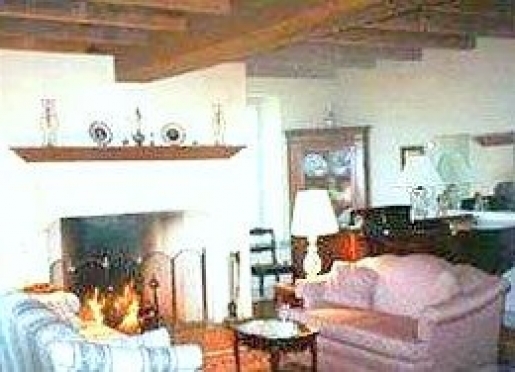 One can read by one of the fireplaces, play the Steinway piano or enjoy the serenity of nature, while sitting on the big porch or walking along the trail. Conveniently located to visit the Brandywine Valley Attractions (Longwood Gardens, Winterthur), QVC Studios, West Chester State University, and the United Sports Training Center. Relax by canoeing or hiking nearby. 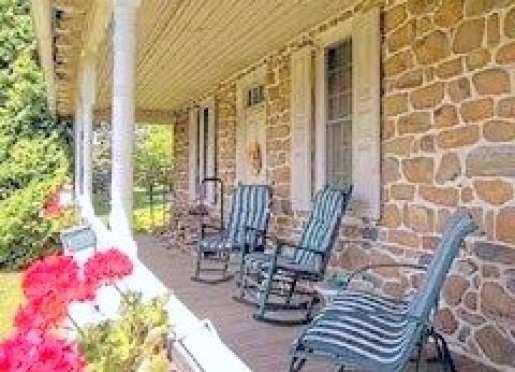 The Amish country and historical Philadelphia are only 45 minutes away. Have early morning coffee on the big porch. A gourmet breakfast is served graciously on heritage Wedgwood china in the Great Room by candle light and fireside. On extra warm days breakfast can be eaten on the veranda, an idyllic setting overlooking the pond. Enjoy Marcy’s blueberry puff or banana raspberry Chantilly. Guests often request her cheese strata. Parents visiting students at local colleges are welcome to invite their children for a complementary breakfast. Off of the kitchen there is a 24 hour hospitality center with the makings for hot and cold beverages, snacks and treats. 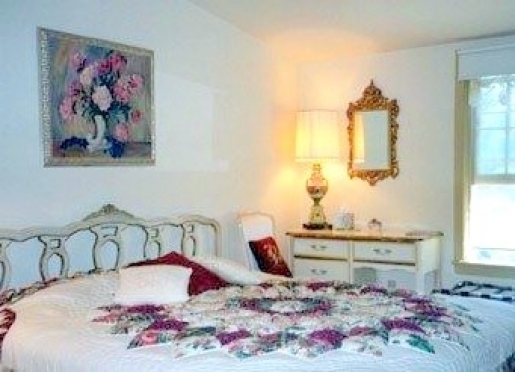 The three guest bedrooms with private baths, air conditioning and cable TV, have king or queen beds. The inviting guest rooms vary in décor from the French Provincial furniture of the King Louis room to the cozy spindle queen bed in the Jenny Lind room to the pretty romantic Rose room. "Thank you for all the little "extras," great breakfasts, a great location and well restored house." 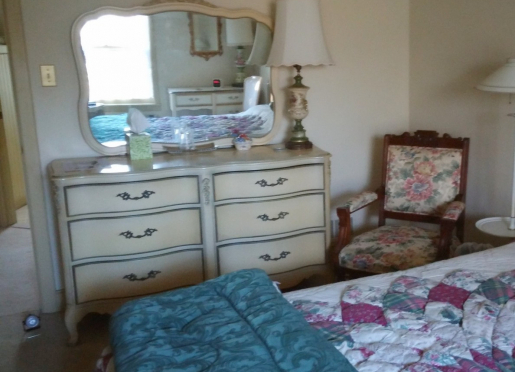 "A beautiful historic home with lots of hospitality." "The hosts, the house, the food all top of the line"
"The best alternative for the business traveler. We'll be back." "A lovely stay! Thanks for the great breakfasts, warm fires and the blue heron bonus." Travelers are always looking for memorable and relaxing experiences. Let’s discover more through the words of our innkeepers. Many thanks to Marcy and Walter Schmoll for sharing their own secrets with BBOnline.com! Our guests are in the area to enjoy the many attractions of the Brandywine Valley, such as the Internationally known gorgeous Longwood Gardens and the priceless Dupont estate, Winterthur; in addition to visiting the quaint historical town of West Chester. Our friendly helpful hospitality and Marcy's delicious attractive breakfasts. Our uniqueness is the historic blending of the charming 1732 manor house with its wide window sills, random width floors and open beams with updated beautiful facilities and conveniences that make your stay memorable and comfortable. We love how people react when they first see our home and look forward to their stay. If someone has never been to your city, what is the #1 reason to come visit? 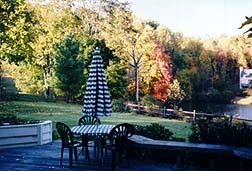 Most people are visiting the Brandywine Valley Attractions. We are also home to West Chester University, Westtown School and the United Sports Complex. We arrived as strangers and left as friends. People enjoy investigating Baldwin's Book Barn which consists of 5 floors of used and old books. First, tour the 11 Brandywine attractions. 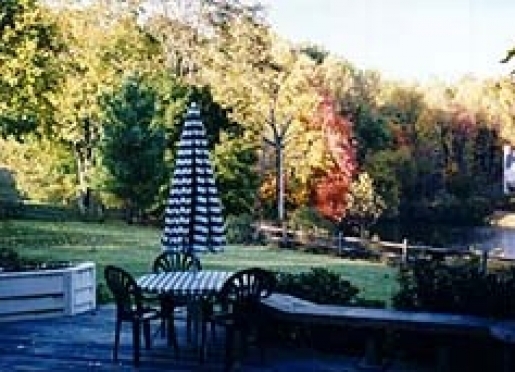 One can go canoeing down the Brandywine River, horseback riding, antiquing, and hiking or biking on the trails. In addition, in a 30-40 minute drive, one is in the Amish country, at historical Philadelphia or at the King of Prussia Mall which is the second largest shopping mall in the US. There is a walking trail which starts across the street from us. Lemoncello Restorante (Italian), Pietro's Prime (steak house) and Duling Kurtz (fine dining in a historical building) and The Iron Hill Brewery and Restaurant (fun place). Longwood Gardens: the world's premiere "all season" gardens of over 1000 acres, new Forest Walk, Unique tree houses, Illuminated fountain shows, Refurbished 82 year old organ and 6 foot carillon tower for concerts. Winterthur Museum, Gardens and Library: Francis du Pont's Country Estate, Rooms of antique period furniture from around the world, Strolling winding paths through the 60 acres of gardens. Brandywine River Museum: Three generations of Wyeth art work in a 19th century grist mill. Be sure to request Wyeth's granddaughter, Vicky, to guide you. Nemours Mansion & Gardens: Former estate of Alfred du Pont, Elegant renovated mansion with many exquisite items from Europe and formal gardens. Need reservations. 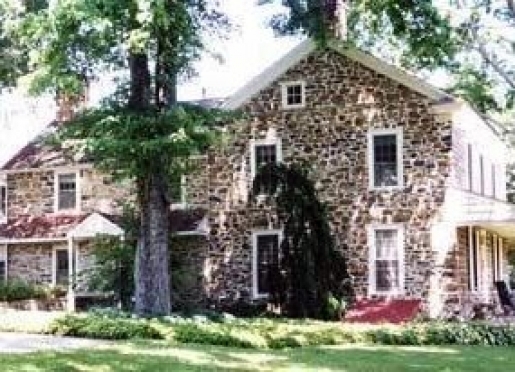 Hagley Museum: The site of the original du Pont company gunpowder mills. Lots of fun to watch how gun powder was produced. Baldwins Book Barn: Thousands of old and rare books etc. in a four story barn. Brandywine Valley Wine Trail: Visit seven vineyards and sample their premium wines. Can purchase a wine trail pass to visit the wineries. Travel 6/10 mile and make an immediate right after the ball park to stay on Copeland School Rd. 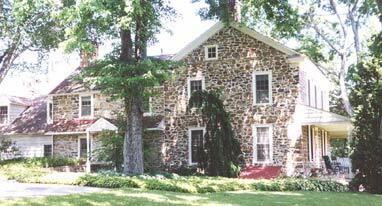 Travel 2/10 mile to old stone house on far right corner of intersection of Tree Lane and Copeland School Rd. Turn right into driveway from Copeland Rd. Travel 1 7/10 mile, crossing Grove Rd and New St.
At dead end turn left onto Copeland School Rd. Continue straight on this road until you come to traffic light by the Local Daily News. Make an immediate right after the ball park to continue on Copeland School Rd.